Black Friday & Cyber Monday are two of the busiest shopping days in existence. They both represent the start of the holiday shopping seasons, big sales, great deals, and savings. But which of these days is the best day to shop? On which days do you get the best deals? And, should you spend your time on Black Friday in crowds or Cyber Monday fighting clicks? In this article, you’ll discover some of the pros and cons of shopping on both days, the history behind these two shopping holidays, and a few tips for getting the most out of this shopping season. 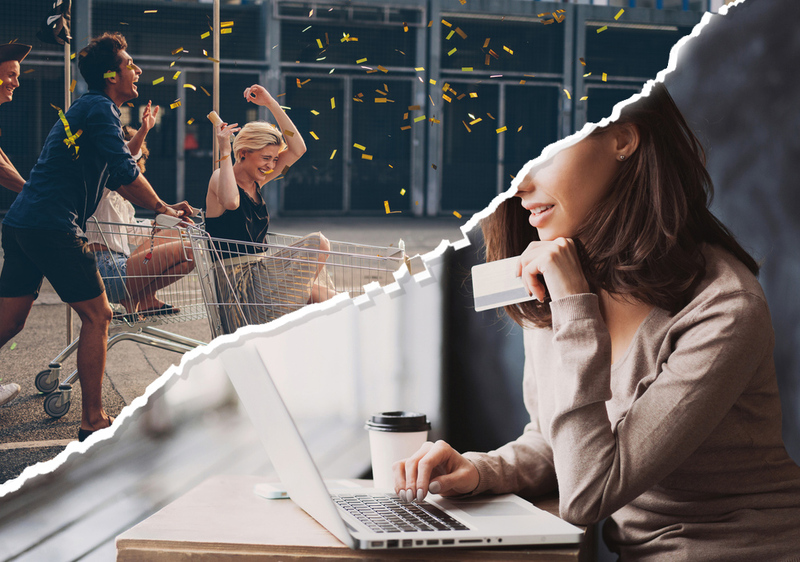 Black Friday vs. Cyber Monday What’s the Difference? Black Friday started in the 1950’s and is on the Friday after Thanksgiving. This year it falls on November 23, 2018. Although typically Black Friday sales start a bit before the Thanksgiving holiday and extend until Sunday after. The term Black Friday was named due to the fact it marked the first-day store profits rose into the black, meaning that they became profitable. Black Friday historically marks the start of the holiday season shopping, and because of that, it’s celebrated with Black Friday deals. This holiday, until 2010, was the biggest shopping holiday of all time accounting for 3.34 billion in sales in 2016. In 2010 the Thanksgiving Black Friday holiday was eclipsed by its little brother Cyber Monday. Cyber Monday is much younger than its brother Black Friday and wasn’t born until 2005. Is it surprising that Cyber Monday is a millennial? The term was coined “Cyber Monday” by the national retail federation in 2005. It received its name due to the consumer-driven shopping craze that happened on the internet the Monday after Thanksgiving. Cyber Monday is one of the biggest online shopping days. Well, it turns out in 2005 people were beginning to shop online more. In 2010, Cyber Monday became the biggest online shopping holiday bringing in over 1.02 billion in online spending. Since then, Cyber Monday has held that title and has seen continued growth. In 2017 Cyber Monday saw over 6.5 billion in sales. This year the shopping holiday falls on Monday, November 26, 2018. Which holiday will give better deals Cyber Monday or Black Friday? Great question, and honestly this one may be a bit biased depending on what you’re looking for. On most purchases, Black Friday will have better deals but only marginally. With limited supplies, long lines, and travel expenses most people decide to pay the premium and just shop online. According to the accounting firm, Deloitte, 55% of people prefer shopping online. And while Black Friday deals are good, Cyber Monday deals are also great with only a small increase in price. For example c|net states if an Amazon Echo Dot is normally $50 dollars on Black Friday it typically is $30 dollars, and on Cyber Monday it would only increase to $35. Cyber Monday is often also more profitable for retailers online and online business in general as well. With that said depending on your preference, the better deal could be Cyber Monday or Black Friday. Although once you factor in the driving, long lines and limited supply most choose to go with the higher price. With that said, depending on your preference, the better deal could be Cyber Monday or Black Friday. Although Cyber Monday seems to take the cake. Do more people shop on Cyber Monday or Black Friday? If you bet on Black Friday you’d be wrong. Not only does Cyber Monday make more money it also has more shopping participation than Black Friday. According to the National Retail Federation (NRF) on November 27, 2016, 122 million people shopped during the cyber holiday and only 116 million shopped on Black Friday. What deals last longer Black Friday or Cyber Monday? Black Friday deals tend to last longer. Black Friday sales often start on Thanksgiving or a bit before and don’t end till Sunday. Cyber Monday deals tend to only be 24 hours with a max of 48 hours. Deal News conducted a study in 2015 and found that over 61% of Cyber Monday sales end in 24 hours. Only 26% of Black Friday deals are done on Thanksgiving day and only 36% on Friday. Cyber Monday deals don’t last long. How should you get ready for Black Friday and Cyber Monday? Great question and the answer is preparation. Make sure to do your research on retailers and prices so you’re not fooled by the holiday shopping FOMO ( Fear Of Missing Out). Many advertisers will say you will never see these discounted savings again but that’s often not true. Sales happen all the time and they’re not going away anytime soon. You can utilize tools like CamelCamelCamel and PriceSpy to monitor the price of goods and expensive consumer electronics to make sure you’re getting some of the best deals. You should also know what you’re looking for and where. If you’re going after deals with a limited supply you’ll want to make sure you locate them quickly and be ready to purchase. Pay attention to the pre-sale advertisements and make a note of things you’re interested in. If your money is low and you want the ability to be able to take advantage of some the holiday deals and sales we know your frustration. With that said, Mariner Finance offers personal loans up to $25,000. If interested you can fill out one of our online personal loan applications to see if you qualify for a loan. Enjoy the awesome savings you may come across during this shopping season.